Three winners of a high school essay contest on stem cells will receive a cash award and the chance to volunteer in a stem cell research laboratory during the summer. All high school students � essayists or not � and parents and teachers are invited to a 5 to 7 p.m. program on March 14 at Cedars-Sinai Medical Center to learn more about these cells that may revolutionize many medical therapies. Winning essays will be chosen by a selection committee that will value content over length, although essays are expected to be long enough to address the topic researched. References, which must be cited in the text, may include periodicals, textbooks and websites, but not Wikipedia. Awards range from $200 to $500. Winners will be announced during the March 14 program, �Introduction to the World of Stem Cells.� Advanced registration is available at www.cedars-sinai.edu/neurosurgeryconferences, under Student Conferences; same-day registration will begin at 4:30 p.m. The program will be led by John S. Yu, MD, vice chair of the Department of Neurosurgery and director of surgical neuro-oncology, and Dwain Morris-Irvin, PhD, neural stem cell research scientist and principal investigator with the Maxine Dunitz Neurosurgical Institute at Cedars-Sinai. Ahmed Ibrahim, who has a master�s in public health and is in Cedars-Sinai�s Graduate Program in Biomedical Science and Translational Medicine, also will speak. As a high school student, Ibrahim participated in a summer research project at Cedars-Sinai. He now conducts stem cell research at the Cedars-Sinai Heart Institute, which in 2009 performed the first procedure where a heart attack patient�s own heart tissue was used to grow specialized stem cells that were injected back into the heart. The researchers found significant reduction in the size of heart attack-caused scars in patients who underwent the experimental stem cell procedure, compared to other heart attack patients who did not receive the experimental therapy. For questions or essay submission, contact Samantha Phu, academic program coordinator for the Department of Neurosurgery, at phus@cshs.org or (310) 423-9522. �Introduction to the World of Stem Cells,� which will be in Cedars-Sinai�s Harvey Morse Auditorium, is one of three programs to be presented by the Department of Neurosurgery during Brain Awareness Week March 11-17. The annual �Brainworks� program for seventh and eighth graders will be from 10 a.m. to 1:10 p.m. on March 11; a two-day conference for scientific and health care professionals on nanomedicine for imaging and treatment will be on March 15 and 16. 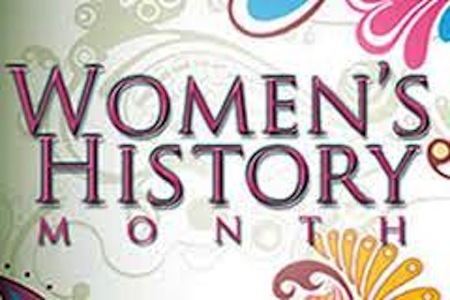 March is Women's History Month. We want to celebrate YOU! Tell us and show us what you are passionate about - work, community, family, art, fitness, the outdoors. We want all of it! We'd love to feature you on Teres Kids facebook, twitter, pinterest and our blog. Email me at alex@tereskids.comalex@tereskids.com. Teres Kids is working to Heal the Bay! Local Los Angeles artist Tania Fischer and Los Angeles eco-fashion boutique Reve are hosting an art benefit for Heal the Bay. 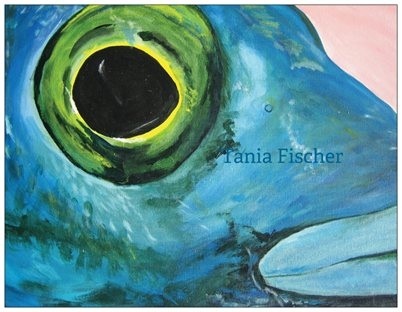 Teres Kids will be there selling Teres Kids t-shirts featuring a Tania Fischer painting. If you can't make the event but want to support Heal the Bay, t-shirts will be available at TeresKids.com on March 15th. 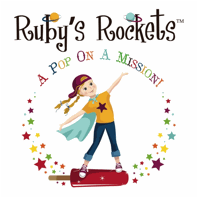 Ruby�s Rockets, the fruit and vegetable pops with probiotics made especially for kids, will launch on March 8 at Natural Products ExpoWest in Anaheim, California. These delicious all natural ice pops for kids, tweens and teens offer a healthy alternative to sugary, artificial, preservative-filled treats--and a fun, convenient, low-calorie snack with both fruitsand vegetables. Ruby�s Rockets don�t contain any gluten, wheat or dairy. The added blend of kid-friendly probiotics to support healthy immune and digestive systems. ** �We are committed to making these the healthiest pops they can be, so we plan to seek organic certification this year, � says Wendy. Offered in single-flavor boxes of 6, Ruby�s Rockets can be ordered online atwww.rubysrockets.com and will be available in stores on the West Coast soon.